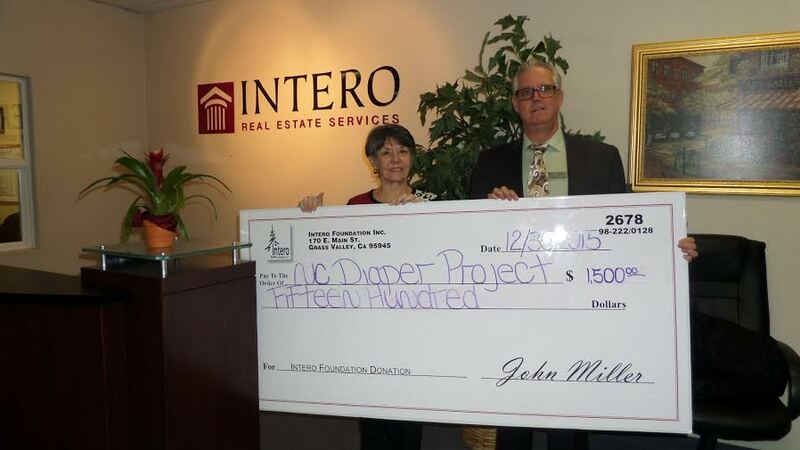 The Nevada County Diaper Project was the recipient of a $1,500 grant from the Intero Foundation. This money will be used to purchase a pallet of diapers for families in Nevada County that are in need. The Diaper Project is one of Intero’s favorite projects because it foster and promotes a happier environment for the whole family unit and creates a healthier life circumstance for the child.